The St. Petersburg Police Department released the results of a recent crackdown on drunk driving, which involved its officers, Florida Highway Patrol troopers, and various DUI prevention groups. In a 24-hour period in March 2017, the wolf pack arrested 13 individuals on drunk driving charges, reports the Tampa Bay Reporter. Over 200 traffic-related and criminal citations were issued in the effort, which was intended to reduce the casualties and property damage caused by impaired driving. In some of the arrests, it’s likely that law enforcement officers used field sobriety tests and other factors to establish probable cause in a DUI case. If you’ve been arrested based upon the results of a field sobriety test, a Florida DUI lawyer can answer some of your questions and offer options for fighting the charges. How do field sobriety tests work? FSTs are a series of tests intended to help law enforcement officers establish sufficient probable cause to arrest a driver for DUI. The tests measure your physical capabilities and/or cognitive performance, abilities that may be impaired in a person who has had too much to drink. 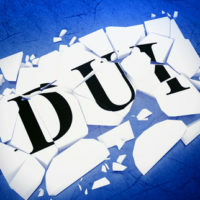 The results of FSTs, typically video and police reports, may be used in court as evidence to prove DUI. What are the standard FSTs? One-Leg Stand (OLS), which determines how well you can hold your balance. The NHTSA developed the Manual to establish a standardized system that assists law enforcement in administering FSTs, so that the tests are consistent across the US. However, police departments often use other types of tests to support probable cause in a DUI case. An officer may ask you to stretch out your arms and then touch your nose, recite the alphabet backwards, or count to 100 or more. When do law enforcement officers administer FSTs? Because FSTs are used in connection with probable cause, they are often administered at a traffic stop when an officer already has a reasonable suspicion that you’ve been drinking. FSTs would typically be administered before a chemical test, which would be conclusive proof of the presence of alcohol in your body. Florida law enforcement takes drunk driving very seriously, and will often use field sobriety tests as grounds to make an arrest for DUI. However, these tests are not conclusive and can deliver questionable results. For this reason, it’s important to discuss your case with an experienced DUI lawyer who can attack weaknesses in the case against you and present strong defenses. The stakes are high if you’re convicted, as you could be sentenced to jail time and hefty fines, as well as lose your driver’s license. If you’ve been charged with drunk driving and have questions about the proceedings, please contact the office of Fort Lauderdale attorney Kevin J. Kulik. We’re happy to schedule a consultation to provide more information on how to fight the charges against you.